G105 Headphone Amplifier 2-Channel 15-600 Ohm, sym. 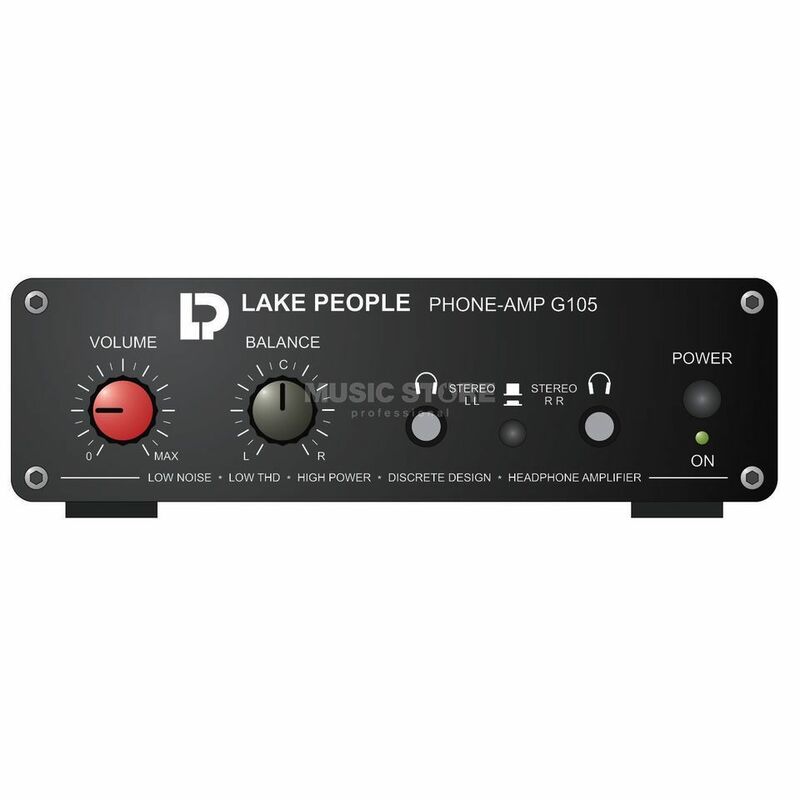 The Lake People G105 is a Stereo Headphone Amplifier, for use with 16 to 600 Ohm headphones. A headphone amplifier with the highest transmission quality and compact dimensions to drive 2 headphones. The PHONE-AMP G105 is optimized for the highest output voltages, lowest noise and lowest distortion. The G105 is the answer to the common problems with headphone amplifiers: the wide spread of headphone impedances, ranging from 8 - 2000 ohms and the different efficiencies of headphones. Because of its high internal voltages, the low output impedance together with its selectable gain, this type of headphone amplifier is best suited to drive headphones with low- to high-Z loads (16 ... 600 ohms). The inputs are situated on the rear panel, they are equipped with electronically balanced XLR connectors. Two rotary pots on the front panel are provided for level and balancing control. G105 is equipped with two headphones outputs with 1/4" jacks which may be optimized for mono signals with a split-switch. The unit offers a built-in power supply with IEC/CEE socket. The complete case, front and back panels are made of black anodizes aluminium.